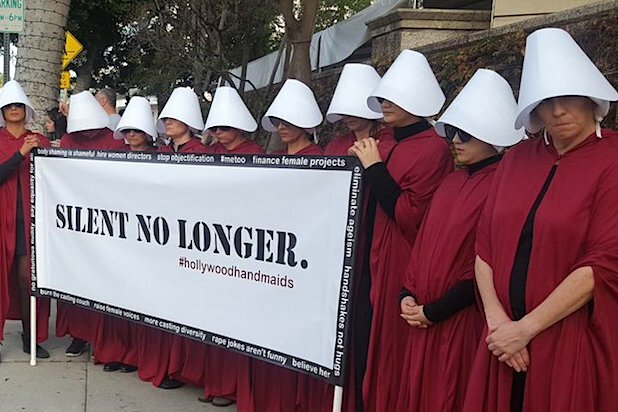 Since “The Handmaid’s Tale” was released last year, it has inspired protests for women’s rights throughout the U.S., and that trend continued outside the Golden Globes at the Beverly Hilton on Sunday, when a group called the Hollywood Handmaids held a silent protest demanding an end to sexual misconduct and inequality in the entertainment industry. 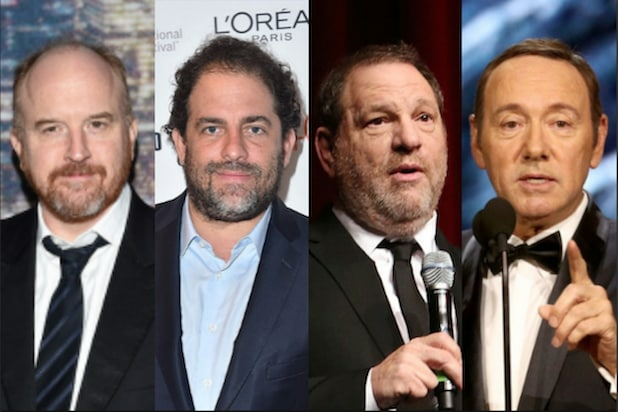 The group, which consists of women who have worked on all levels of the entertainment industry, says on its Facebook page that it’s goal is for “equity in gender and race representation, both on and off the screen, and for violence-free working conditions in the film and entertainment industry.” The group is part of a larger organization called the Handmaids’ Coalition, a collection of activist groups that have staged women’s rights protests while wearing the red robes and vision-blocking headwear that was made famous by the hit Hulu show and the Margaret Atwood novel it is adapted from. Inside the Globes, attendees are waering black as an act of solidarity with victims of harassment and abuse. “The Handmaid’s Tale” may also make its presence felt during the ceremony as well, as it is nominated in three categories, including Best Television Drama.